Having a budget can help make your trip planning easier. Knowing what you want to spend and your spending priorities can help you narrow down when you’ll visit, where you’ll stay and how long your trip will be. Everyone’s trip will be different, but you will have the same categories in your budgets. Budget: Somewhere to stay is an important part of your vacation budget. This needs to be accounted for in your budget. Even if you’ve been blessed with accommodations from a friend or family member, consider budgeting for some small gift to thank them. Families with little ones might consider spending a bit more on accommodations if they’ll be spending time at the resort with napping little ones. Priority: Depends on the family. 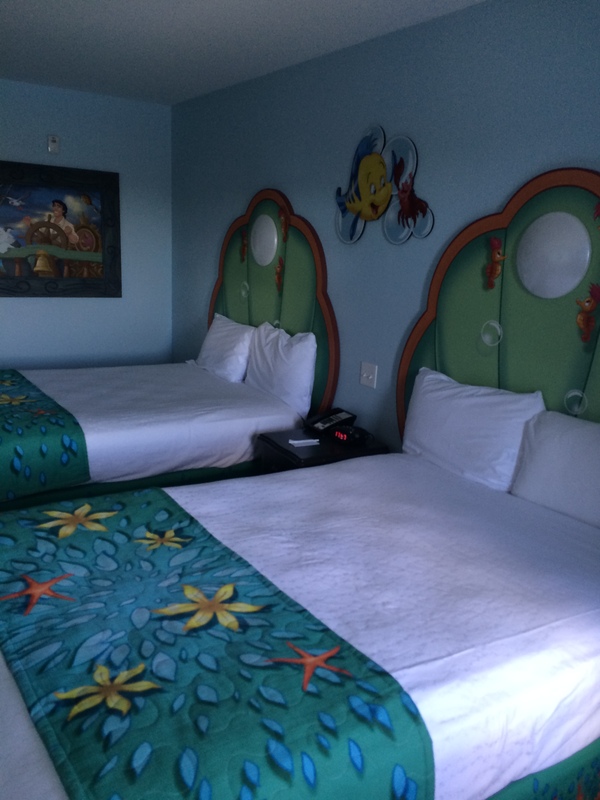 Staying off site in an inexpensive hotel can provide for a longer trip while staying in deluxe accommodations at a Walt Disney World Resort may mean a shorter trip. When we take longer trips, we tend to spend a bit more on accommodations because we spend more time in the room than we would when we take a short trip where we’re spending lots of time in the parks. 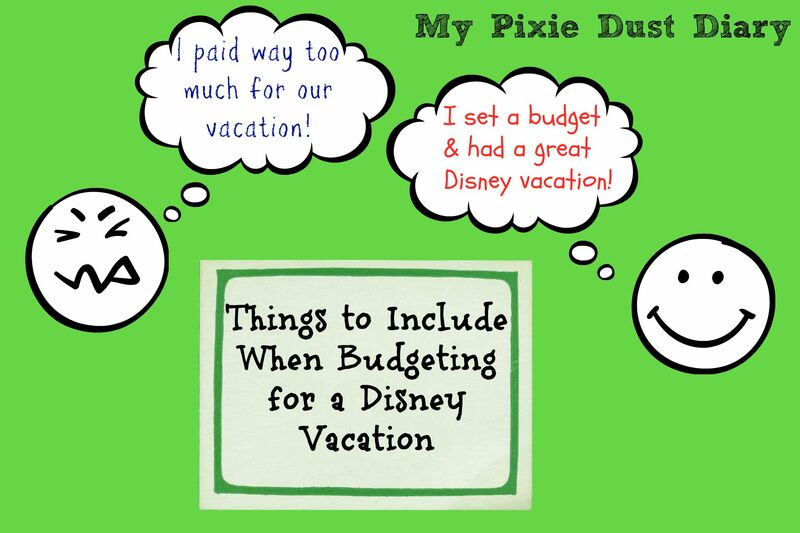 Budget: Look at how often you’ll be eating in the parks, outside of the parks and what you’ll be bringing with you to prepare meals or as snacks during your vacation. 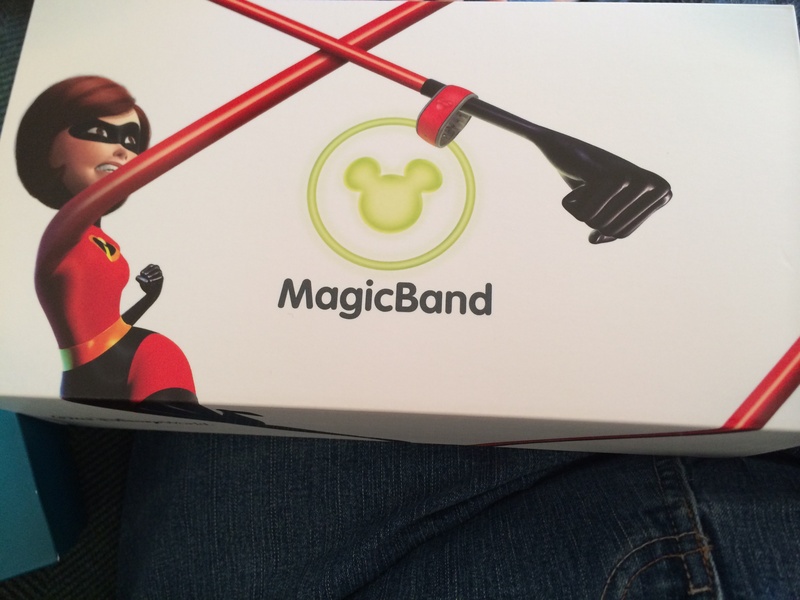 Consider staying at a Walt Disney World Resort and adding the Disney Dining Plan to your Magic Your Way package as a way to paying for your meals before your vacation and helping with the budget. Priority: Food is important. Only you know how much your family eats and where you’ll want to eat. It will be more of a priority to your family if you’re foodies or want to eat at more expensive dining locations. On our trips we usually bring a lot of food with us because we drive which helps save on the cost of dining in the parks. Budget: Tickets become cheaper the more days you purchase so longer trips can be more inexpensive as far as tickets are concerned. Not every day needs to be spent in a park so tickets aren’t necessary every day to have a magical time while you’re on vacation. Purchasing additional tickets to special events or water parks will also add to your budget. Priority: Just being at Disney is magical and every day doesn’t need to be spent in the parks. Some families will spend more on nicer accommodations and spend a couple of days enjoying the pool at their resort instead of spending the money on additional days on their park tickets. Budget: I strongly suggest determining this before you head out on vacation. Letting everyone know their budget upfront (or how they can earn their spending money before the trip) keeps everyone on the same page. Rules about when things can be purchased is also helpful (we wait until the end of our trip to make purchases). Seeing all the pixie dusted merchandise makes you want to take it all home as soon as you see it. Resist the urge! You can also help save by purchasing things before you leave from your local retailers or places like Zulily or The Disney Store. You should still budget for these items but maybe they double as birthday or holidays gifts too, helping your Disney budget. Priority: For us this is probably the lowest priority of everything. Because we visit often, we don’t purchase a lot when we’re in the parks. Budget: Guests staying at a Walt Disney World Resort and flying into Orlando International Airport (MCO) can use Disney’s Magical Express which is including in your vacation package for no additional cost. When staying off site or flying into another airport, you’ll need to consider the cost of transportation as well as getting from your home to the airport you’ll be leaving from. If flying isn’t your family’s method of getting to Disney, be sure to factor in the costs of your method of travel including slight increases if you’re planning in advance for your upcoming vacation. Priority: Getting there is the most important part. It doesn’t matter how you get there so you could look at the costs of flying and driving to see which works better within your vacation budget. 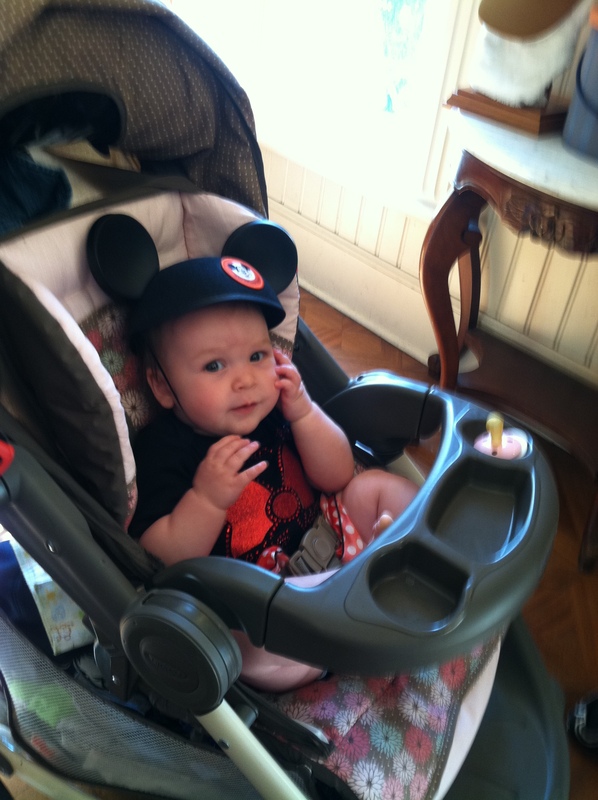 Budget: Include the cost of any other trips you’ll be adding on to your Disney vacation. There are lots of interesting places to visit in the Orlando area as well as across the country on your drive to Disney. Spend some time looking into the costs of admission, food, accommodations and other expenses associated with your additional plans. Be sure to also account for anything else that applies to your family (house sitter, pet boarding, ect). Priority: Again this one’s pretty low for us. Our drive is pretty short so we don’t make too many stops along the way. Occasionally we’ll stop for lunch or dinner on the way down or back but that’s about it. What are some things you include in your Disney budget? Leave a comment below and let us know!